Increasingly, Marie Carrele is working with Paris-based architects and designers. As such, its proximity to Paris constitutes a strategic advantage for its partners, who are able to come and work directly with Marie Carrele's teams at the company's production site in Tremblay-les-Villages. 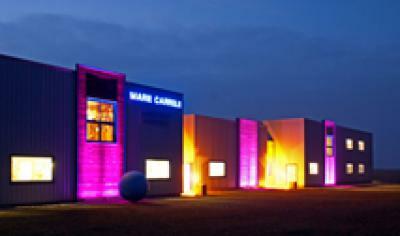 Jean-Luc Diot and Pascal Girard, directors of Marie Carrele, have set aside part of the company's production site as a reception area where they can meet partners and validate finishing tests, brainstorm with technical teams, launch small production series, etc. A perfect solution for promoting innovation and creativity.